On 1 June 1944 the 29th Quatermaster Company Company was lifted on LST’s from Hards near Plymouth and Helsford River, near Falmouth, Cornwall, England. After preparation of the unit, for the Invasion of the European Continent from the West, the personnel and equipment loaded on eleven separate craft. The trucks and trailers were loaded with the following impediments : Type “C” and type “K” rations (approximately 33000), gasoline, grease, oil, kerosene, and diesel oil (division reserve), blanket rolls (175th Infantry), Division Finance Equipment, Division Forward Echelon equipment, Division Reserve Office supplies, Division Reserve Cl II (clothing and equipment), Yukon pack boards, graves registration and burial impediments, American Red Cross Comfort articles, Cleaning and Preserving Supplies, Ordnance impediments, and Quatermaster Company and Office of Division Quatermaster equipment. 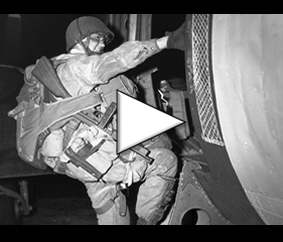 The first members to land were attached to the 116th Infantry Combat Team and consisted of 2nd Lieutenant Robert Rosenberg, and three enlisted men. They, with a ¼ ton 4×4 C&R truck landed on “D” Day (6 June 1944) as representatives of the Division Quatermaster and to make reconnaissance for the Division Quatermaster and the Quatermaster Company. Captain Charles V. Moore, with three enlisted men, a ¼ ton 4×4, C&R and 21/2 ton 6×6 cargo truck, landed on morning of D+1 (7 June 1944) as liaison with the 115th Infantry Combat Team and to make reconnaissance for a cemetery. The cargo truck was loaded with Grave Registration Service impediments. Captain Hansel E. York, with nine enlisted men, a ¼ ton 4×4 C&R, four 2½ ton 6×6 cargo trucks with 1 ton trailers loaded with cleaning and preserving materials and Division Forward Echelon Command Post equipment landed approximately at midnight of D+1 (7 June 1944). Captain Frank B. Hines, Jr., with forty-three enlisted me, one (1) ¼ ton 4×4 C&R, and fifteen (15) 2½ ton 6×6 cargo trucks with trailers landed in three sections. The first section under Staff Sergeant Harrington went ashore at approximately 2000 hrs D+1 (7 June 1944), the second section under Sergeant Woody went ashore at approximately 2300 hrs D+1 (7 June 1944) and the third section, consisting of over half the group, went ashore at approximately 0800 hours on D+2 (8 June 1944). One of the truck and trailers of the first section was lost with entire cargo when the LCT ferry grounded on a sand bar and the trucks attempted to gain the shore through water that was too deep. The other three trucks and trailers of this section were successful in reaching the beach. No personnel were lost. This group under Captain Hines, established the first 29th Quatermaster Company bivouac at a point approximately 1½ miles south of Vierville-sur-Mer, France, at about 1100 hours D+2 (8 June 1944). Prior to establishing the bivouac, two trucks and trailer loads of gasoline were dispatched by Lieutenant Rosenberg, at the direction of Captain Moore, to the attached Tank Battalion that was fighting with the 115th and 116th Infantry Regiments. This gasoline was delivered by the 29th Quatermaster men and vehicles to the tanks which were in urgent need at that time. Immediately after the establishment of the bivouac and for the remainder of D+2 (8 June 1944) the 29th Quatermaster men and vehicles delivered rations (Type “C” & “K”) to the Infantry units that were in contact with the enemy. Unable to get ferry service for his entire group, Major William D. Putnam, the Division Quatermaster, came ashore early D+2 (8 June 1944) and joined the company at the bivouac immediately after the bivouac was established. From the bivouac Major Putnam directed the Quatermaster service of the Division. The remainder of the groups landed thru out D+2 (8 June 1944) and joined the company at the bivouac on the afternoon and evening of D+2 (8 June 1944) and early morning of D+3 (9 June 1944). These groups were as follows : One ¾ ton 4×4 Weapons Carrier and four enlisted men under 1st Lieutenant William Gniecko ; 1st Lieutenant Lofton H. Alley in charge of forty-six enlisted men with thirty-five vehicles ; 2nd Lieutenant William E. Graf in charge of fifty-five enlisted men and twenty vehicles, and 2nd Lieutenant John H. Rentschler in charge of twelve enlisted men and 12 vehicles (men and vehicles were attached to the Division by V Corps and were from the 3604 Quatermaster Truck Company). 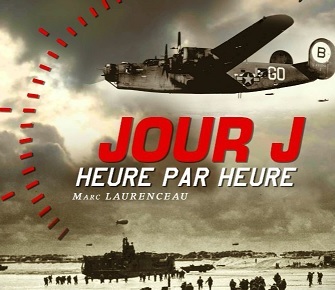 The groups of the 29th Quatermaster Company were scheduled to land on the 1st and 2nd Wave of “D” Day (6 June 1944) and arrived off shore on time. Due to insufficient ferries none of the groups, except those liason to the Combat Teams, were landed until twenty-four to thirty-six hours late. During this period, the groups, whose vehicles were top-side loaded due to nature of cargoes and weight, were approximately one thousand yards off shore and continually exposed to enemy shell fire and bomber attacks. Since the morning of 8 June thru the entire month the 29th Quatermaster Company has supplied the Division with Quatermaster supplies by unit distribution. Two gasoline and oil distributing points have been continously maintened forward for the serive trains and one in the Division Rear Area for administrative vehicles. The office of the Division Quatermaster and the 29th Quatermaster Company had four bivouacs in the month of June. The initial bivouac was established within 3/4 of mile of the fighting Infantry. The bivouac was intermittently subjected to bomb and staffing attacks by enemy planes. Functions preformed as Quatermaster service in supply of the Division by the 29th Quatermaster Company included; Operation of gasoline, oil and grease distributing points; unit distribution of Class I rations, Class II Clothing and equipage, stove parts and office supplies, cleaning and preservating materials, personal incoming and out-going mail; hauling of artillery ammunition; assisting Division Forward Echelon when changing bivouac; assisting ordnance and signal when changing bivouac; units distribution for Signal supply; Location, collecting and evacuation of the dead; hauling of troops for the Infantry; hauling of Division Reserve supplies of Class I, II and III; and the locating, collecting and removal of salvage from the entire Division Area. The Quatermaster service in support of the Division has been continuous over since the first elements landed on the shores of Normandy, France. Residuals joined the company on D+5 (11 June 1944) and D+12 (18 June 1944). These included 2nd Lt. William T. Nogerty and eleven enlisted men with one 21/2 ton 6×6 cargo truck and trailer, on 11 June 1944, ton C1R truck and one 21/2 ton 6×6, cargo truck and trailer.